There’s nothing like it out there. We are surprised. Closet thing are websites that only Sell made in America, which limit consumer’s options to very few items and varieties as the U.S. doesn’t manufacture anything of importance that your typical everyday consumer would purchase. OR there are websites out there very amateurish and just link to products not made in China. AT PNMIC, we strive to be a comprehensive and sophisticated database that only accepts products that carry an industry standard UPC barcode. We want to make sure that all products listed on our website are mass manufactured and readily available for purchase. 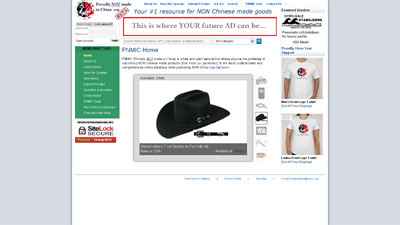 At the same time, we promote NON China manufacturers by allowing them a subdomain at PNMIC.org to showcase their products and raise their brand awareness. This is a major venture going full steam ahead and not some part time hobby site like most other competition.